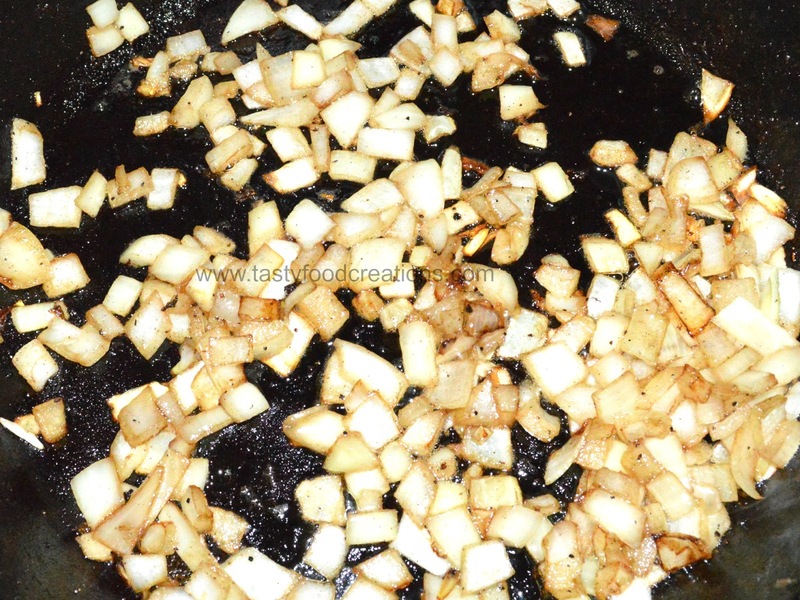 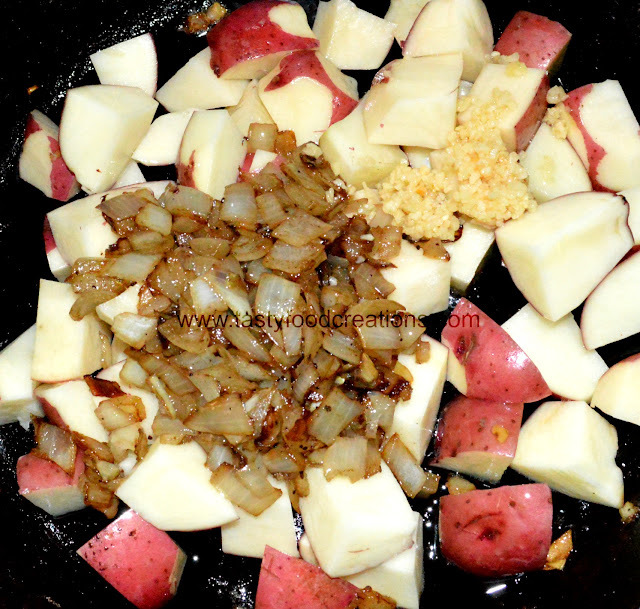 Add potatoes, grilled onions and minced garlic into cast iron, mix lightly. 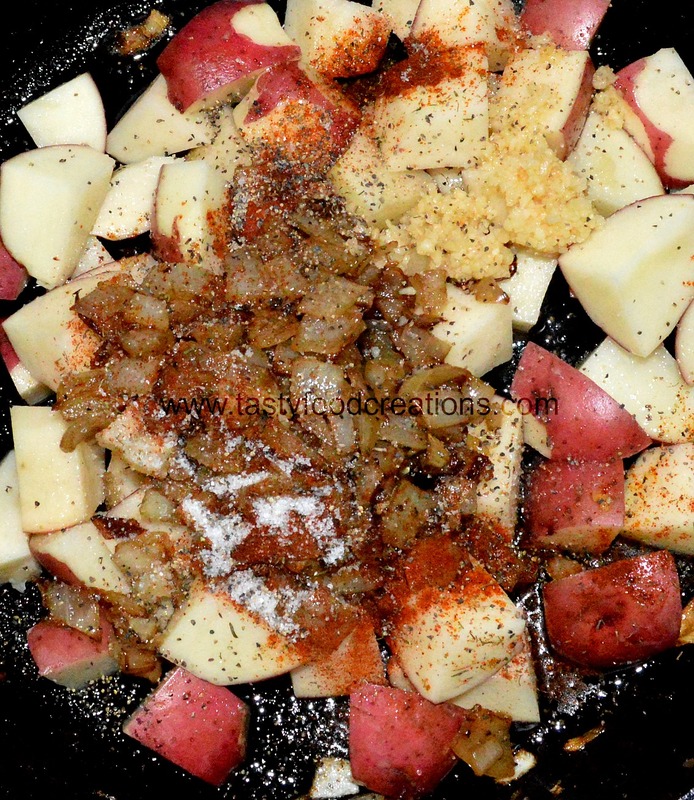 Season vegetables with half of the seasoning, mix lightly. 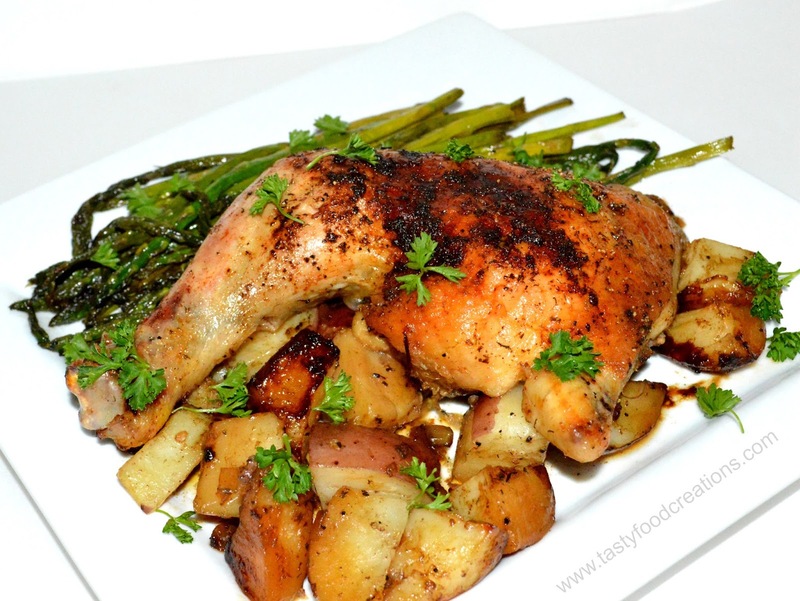 Add chicken on top of vegetables. Sprinkle chicken with remaining seasonings. 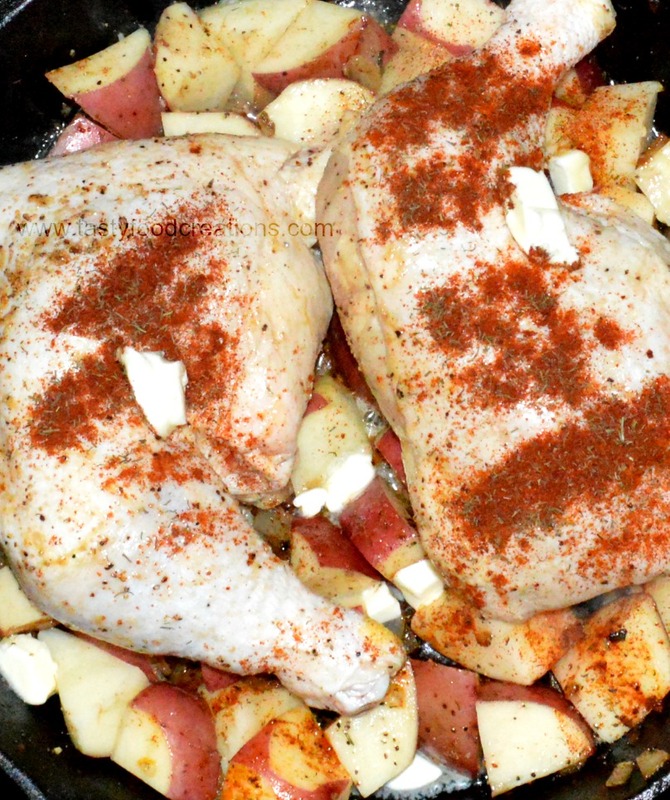 Add butter on top of chicken. 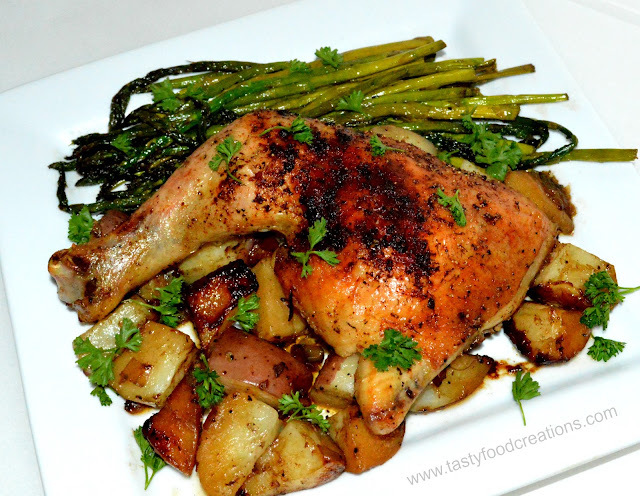 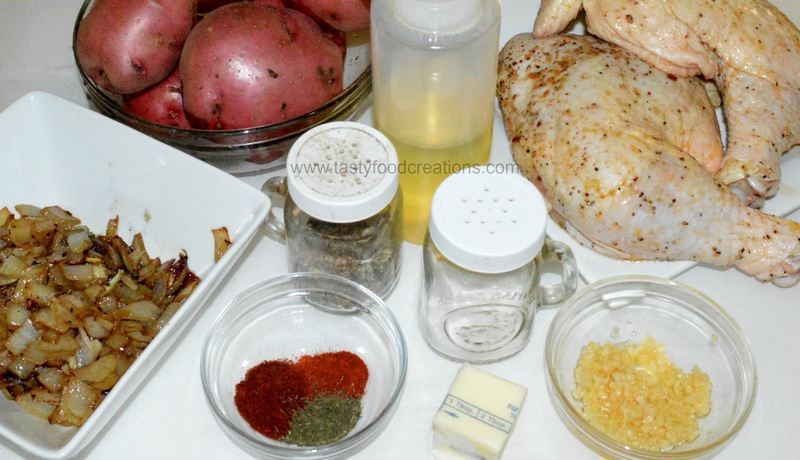 Roast chicken and potatoes for 60 minutes or until a thermometer inserted in chicken reads 180° and potatoes are tender. 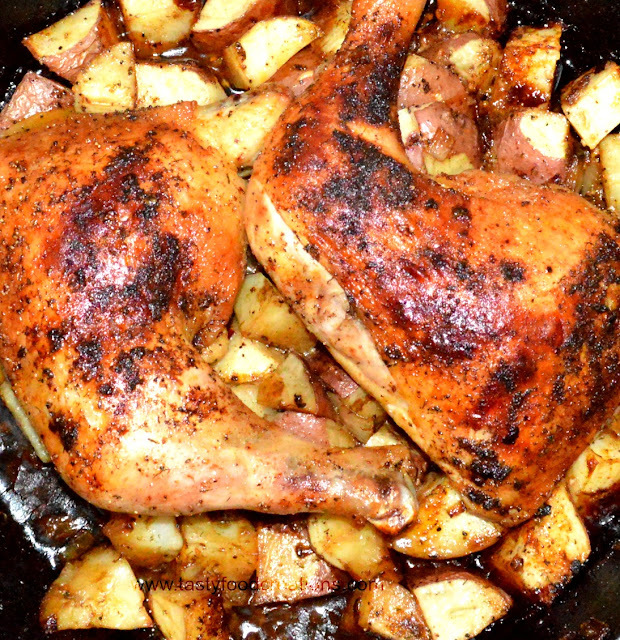 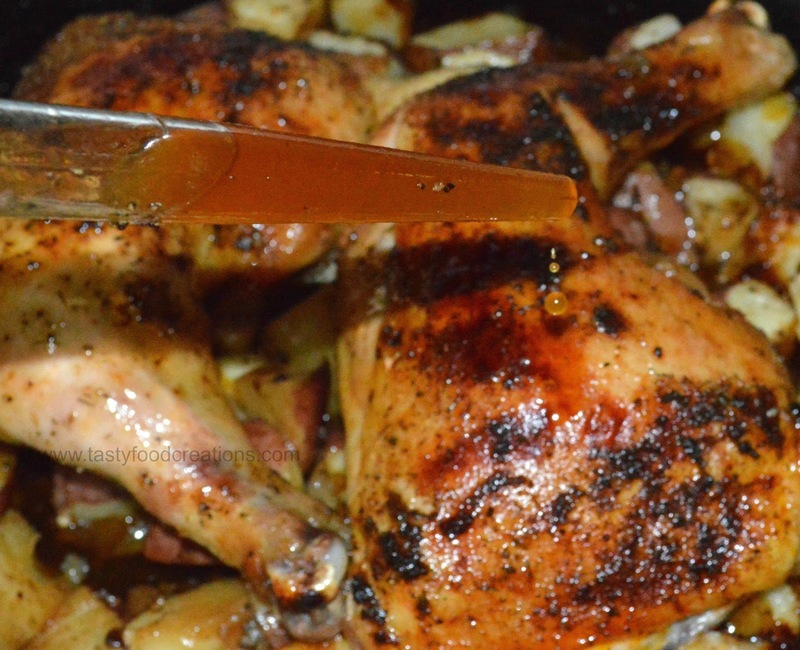 Remove chicken and potatoes from the oven and drizzle with the juices that are on the bottom of the pan. 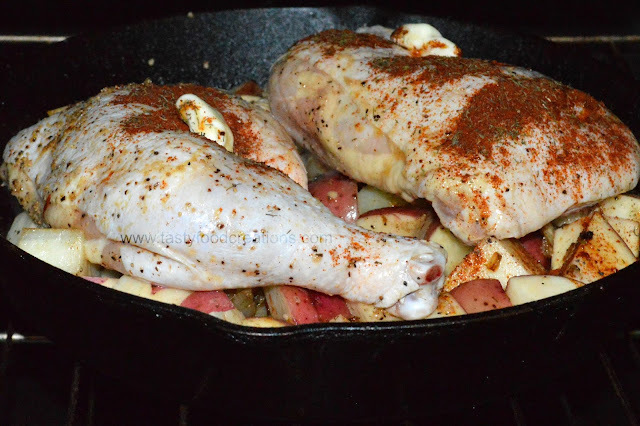 Put it back in the oven for additional 15 minutes to finish roasting. 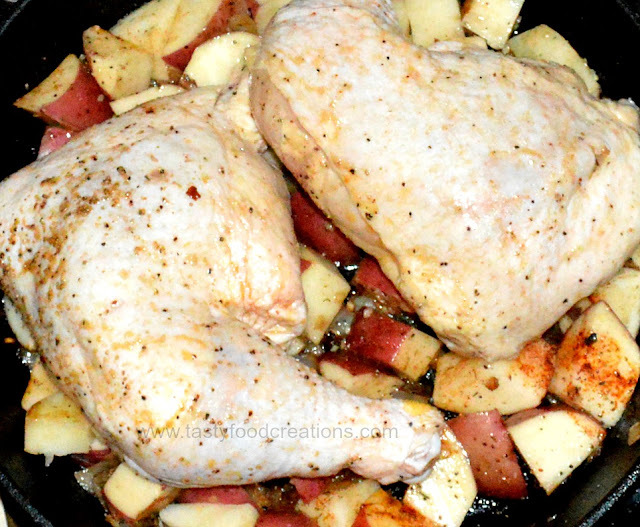 Remove from the oven and let it rest for about 10-15 minutes. 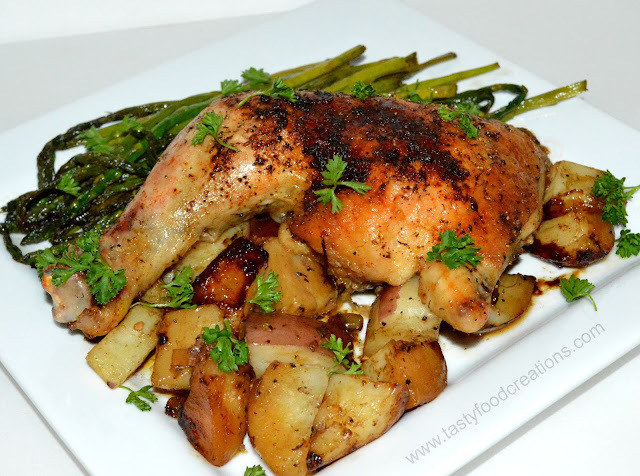 Serve with your favorite side, such as roasted asparagus.